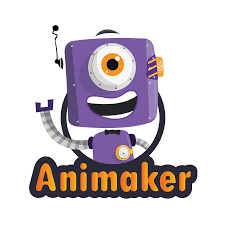 Animaker is an online do-it-yourself animation video maker that brings studio quality presentations within everyone's reach. I really like the drag and drop interface, it really helps building animations on the go and within no time. A very helpful tool when you are in hurry but need a effective and productive presentation. It takes presentations to another level by giving more visual effect. I am not impressed by the user interface, it's very downgrade as compared to today's web technology. A lot more can be improved in this area. Also one more thing I would like to mention is the rendering speed, it sometimes take so long to produce final rendered animation. It's easy to use, one can easily learn it in a hour or two. One thing you can do while you start with Animaker is use already provided templates. Using it to create office presentations either it be for important meeting or for a simple one to discuss about the project. With the current fad of uploading everything on Youtube and explaining everything using interactive media, this amazing website has come to my help at least a couple of hundred times i reckon.The plethora of templates and the ease with which you can create a video just adds to the whole satsifying experience. It is really hard to dislike anything about this amazing website and yeah i would say atleast from my point i really don;t like dislike anything. I am solving a lot of problems using this website like it helps me create and share videos regarding to a concept that i want to share with my friends or peers , it has also helped me to work on some of my personal endeavors. "Live your presentations with Animaker"
- Drag and drop interface that enables you to easily create presentation without any problem. - You can also export your presentations to .mp4 files, makes it more portable. Pricing, a bit too high. There is free pack, but it won't allow you to create long presentations and also limits the number of such presentations you can create. There are a lot of templates under different categories, try them before you start making your own. It will help you to explore more features it provide by looking at the templates they have designed. - Creating presentations with more visual contents, helps me a lot to explain the whole thing with ease. "Present like a professional with Animaker"
One of the best tools I used for making presentations. It has very easy to use interface, the website is designed as such that anyone can easily use it. I really liked the drag and drop interface and yes, the feature where I can easily export my presentation to .mp4 files. Sometimes the website takes so much time to respond, and also there is some issue with rendering it too somethimes take a long to process. Such an easy to use tool, no recommendations. Enjoy Animaking! Creating presentations and using it as a cloud storage to save the presentations to access it from anywhere. -It really is user friendly. -Truly created well for the beginners. They are providing a totally free pack but you can make just limited number of animations with this then you need to buy a different group. There is a large number of templates under different classes, try them before you start creating your own presentations. It will help you to take a look at more features it provide by searching the templates they have made. Generating presentations and using it as some sort of cloud storage to save typically the presentations to access it from anywhere. "an excellent online presentation software"
it provides a good platform for the beginners ,helping in learning more and more about presentation ideas .give it a try,you will love it! "Animate your thoughts with Animaker"
We can make great 2D animations that are way better than simple presentations that we create using Microsoft Power point or Google Slides. It gives you power to put down what you really visualize. Offers very less, you can make only some amount of videos also they can only be of some specified length. Later you need to upgrade to Personal, Startup and Business packs that Animaker offers which are paid. Explore the available templates and also try to use different characters in your presentations. There are vast choices. Creating each of my presentations using Animaker. "Learner videos, easy to use, great result"
I like that there are short videos to help you learn each function. Nothing really but maybe a larger selection for the character library. I am a business professor and have realized that most people have not been taught how to properly execute a comprehensive SWOT analysis and TOWS matrix. The students really enjoy learning this way and it is showing results in their work. "Good to create 2D animations online"
The drag and drop interface which eases my job. It enables me to create animation in no time. Also it works as cloud storage to all the animations you create, so you can access it from any part of the world. It's not free, they are providing a free pack but you can make only limited number of animations with that then you need to buy a different pack. There are various template available, try them instead starting from scratch. I use Animaker to create my presentations either it be professional or anything. "Say no to simple presentations"
- Drag and drop feature. Just choose a character, drag and drop it to presentation work area. - Various options available for ready made template as well as characters. It's not totally free, there is a free pack but it doesn't offer much perks. Using the templates provided by Animaker would reduce most of your work. Only make some minor changes as per your requirement an you are all set. Creating all of my presentations which I generally did before on Microsoft Power Point or some other online tools like Prezi . - The categorized templates section where you can choose one you like and create your presentation in no time. - Drag-and-drop interface which makes the whole process easy and simple. Not faced any issue while working with it. So I would say "no dislikes" to Animaker. Explore the wide range of templates provided under different categories to find best match for your task. I am sure you will find one. Used it almost every time I create presentations either be office work or some general purpose. Very easy to navigate, especially with the detailed tutorial videos. The system is so easy that even without video editing experience can easily pick it up. The animated props are very cute, there are a wide selection of things to choose from. Nothing really. With a free account there are only limited access to the props, but once we subscribed a business account, there are plenty of options to choose from. We used Animaker to create a video to introduce our company. We placed the video on our website and on our Facebook page. It is a cute video that people usually are interested in watching. "Welcome to new era of presentations"
- Animate your presentations, within less than 15 minutes with simple drag and drop interface. - Easy to manage your presentations with the dashboard feature. - There are different categories of templates form which you can choose to create your own animation (or presentation). Using it from a long time, didn't face any problems till date. Try out the templates, they also provide different categories to choose from. Creating presentations as well as reports for office work and general purposes. "intuitive software piece of software for animation"
if requirement of high graphics are needed ,animaker can be the best choice .its standard animation effects are simply amazing,try it! "Animaker brings your thoughts to world"
I really like the drag-and-drop interface that can reduce your work. Also you don't need to create animations from scratch as there are various templates available to choose from. You can export the animations to video files or directly upload them to YouTube and Facebook. For exporting to video files you need to pay for it. You can use templates to get an easy start to creating animations. Creating 2D animations and short videos. "Animate your presentations with Animaker"
- Takes presentation to another level with 2D animations. - Vast character options to choose from. Pricing, in free pack it allows only 5 videos to be created and that too with length of 2 minutes. Use the templates provided to easily create your first presentations after you get used to it, you can explore all the tools to enrich your animation. - Giving more visual to the content. The interface is easy to use and we can create animated presentations with simple drag and drop. I think pricing is bit too high and they are offer only limited perks for free. There are already made animated presentations, have a look at them before starting would be a great help. Making business presentations. It becomes easy to understand and explain with animations. This business is a scam. I cancelled my subscription. 2 years later, they email me telling me I owe $$$$ because they video is still floating around the internet. Outrageous. Beware of positive reviews here. They are all out of India, likely to be employees. No benefits, people found the videos to be too cheap looking. "Animated Presentations on the fly"
Easy to use interface with drag and drop support whichs enables a user to make animated presentations in no time. There should be an Android app which would help to manage everything through mobile phone. It would be great then. There are number of templates available for several categories, make use of them make presentations. "Simple animated presentations with Animaker"
We can use different animations while making presentations, there are lot of cartoon characters available which can just be added to presentation just through drag-and-drop. I really like this drag-and-drop interface. The overall user interface is not that nice, can be improved. The webpage design is not up to the mark. Use various cartoon characters provided, it produces great effect. I personally do this very often to give a different taste to the presentations. Making animated presentations. It also serves as a cloud storage for the same. Animaker gives new dimention to presentations by allowing us to add simple animations to it. The website sometimes takes a long time to load presentations otherwise is good. There are varieties of templates available. I suggest to try them instead starting from scratch. Creating presentations for office work. * We monitor all Animaker reviews to prevent fraudulent reviews and keep review quality high. We do not post reviews by company employees or direct competitors. Validated reviews require the user to submit a screenshot of the product containing their user ID, in order to verify a user is an actual user of the product. Hi there! Are you looking to implement a solution like Animaker?